The technical and legal definition of brandy, as it is established in regulations CE 110/2008, says it is a spirit drink produced from wine spirit, whether wine distillate has been added, distilled at less than 94,8 % vol., without exceeding a maximum of 50 % of the alcoholic content of the finished product, matured for at least one year in oak receptacles, or for at least six months in oak casks with a capacity of less than 1 000 litres. Containing a quantity of volatile substances equal to or exceeding 125 grams per hectolitre of 100 % vol. alcohol, and derived exclusively from the distillation or redistillation of the raw materials used. The methanol content should not exceed 200 grams per hectolitre of 100 % vol. alcohol. The minimum alcoholic strength by volume of brandy shall be 36 %. No alcohol, diluted or not, shall be added to the final product; nor shall any other substance be added, except caramel for adapting the colour. 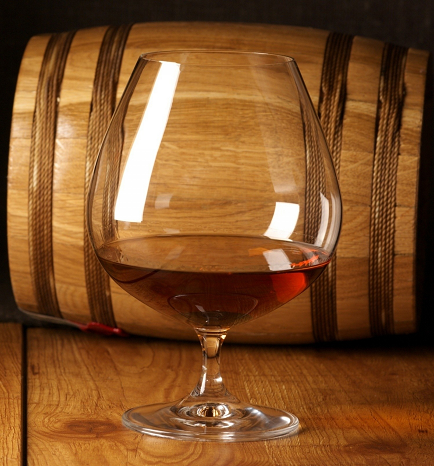 Brandy can be distinguish by its origin: those from Cognac and Armagnac in France stand out, as well as those from Jerez (Sherry) and the Penedés in Spain; Italian ones are known to be the most extravagant and other countries as Germany, Switzerland and the Netherlands, are also producers.